Nice surprise. 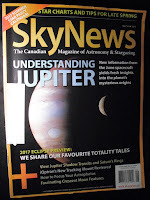 The SkyNews magazine showed up today. 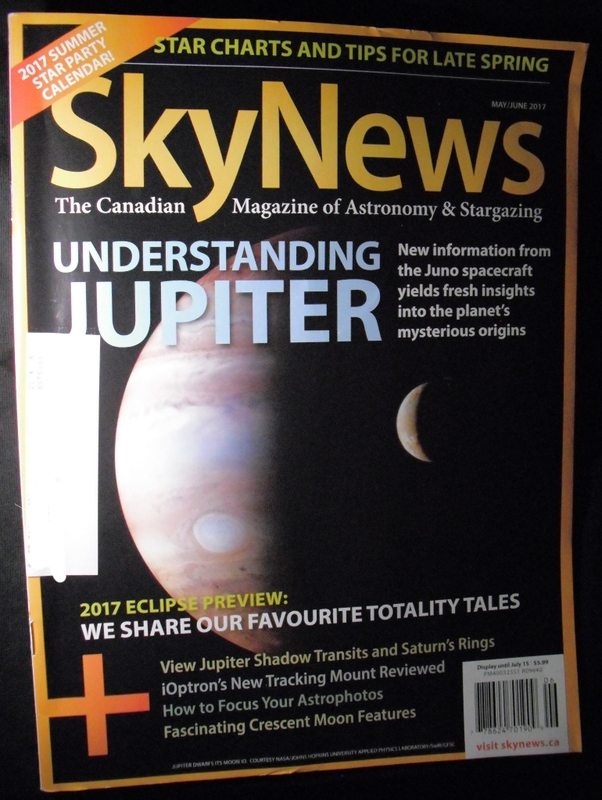 The May/June 2017 issue. Lots of stuff on solar eclipse viewing. Immediately read those articles. Saw a review on the latest iOptron tracking mount. I'm sure I will enjoy reading that. Also noted the article on focusing a DSLR camera lens. The Bahtinov diffraction pattern images caught my eye. I wondered if I might learn some new techniques.